Continuous Rotation 'Servo' is somewhat of a misnomer. By definition these motors are not servos anymore because the feedback has been disabled. 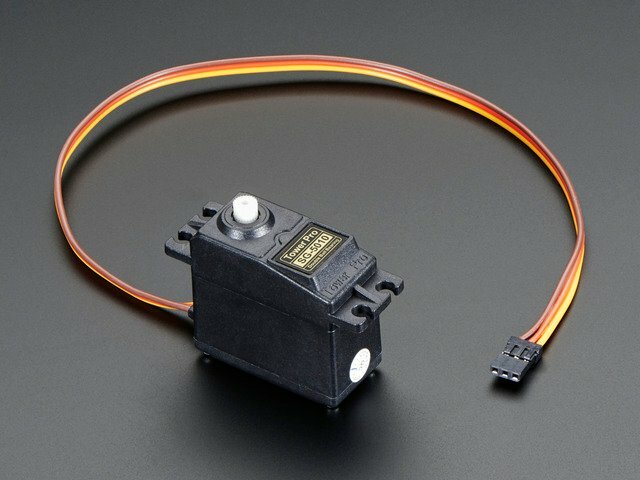 The first continuous rotation servos were simply hacked RC servos. Enterprising hobbyists removed the physical hard-stops and hard-wired the controller feedback to think it was always at the middle position. Since the controllers are 'proportional', the motor speed and direction is proportional to the difference between the command position and the measured position. This simple hack results in a miniature self-contained reversible, speed controlled gear-motor! This modification became so popular, that manufacturers recognized the demand and started offering them too. 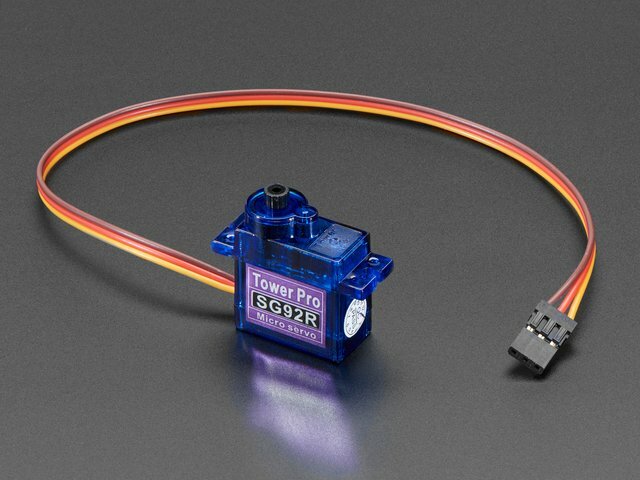 Since they are based on the ubiquitous RC Servo motor case, the name "Continuous Rotation Servo" stuck. 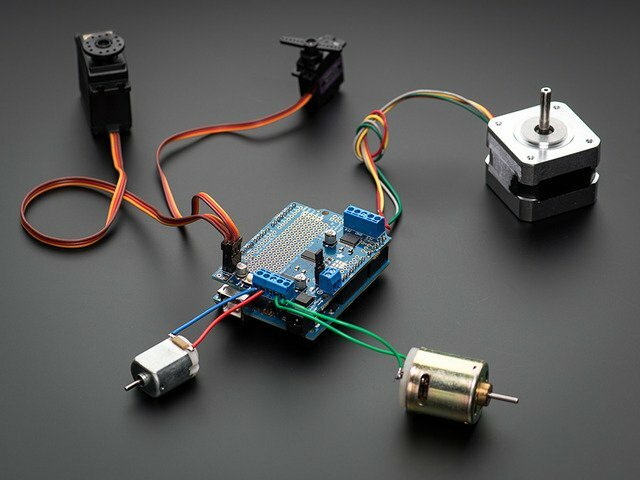 Continuous rotation servos are handy wherever you need a compact DC gearmotor with a built-in H-Bridge driver. 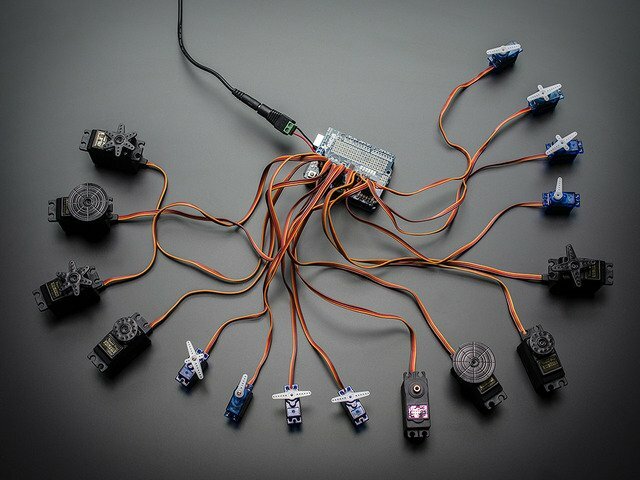 Like their RC (true) Servo brethren, the continuous rotation servos are simple to control. Since they have a built-in H-bridge controller, you just need to supply them with power and a pulsed signal. 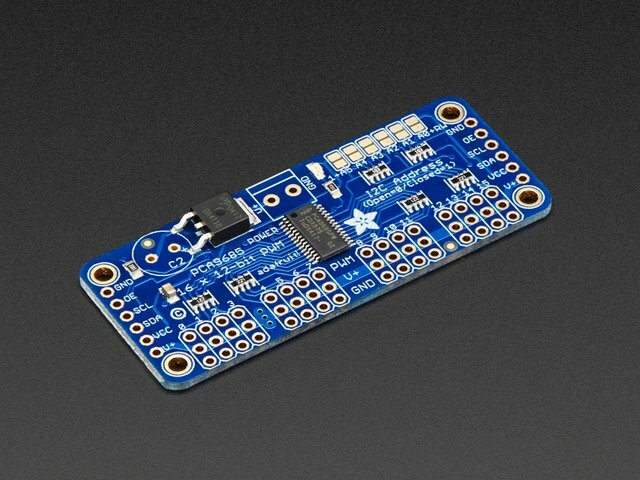 The pulses are easily generated from most any microcontroller GPIO pin. 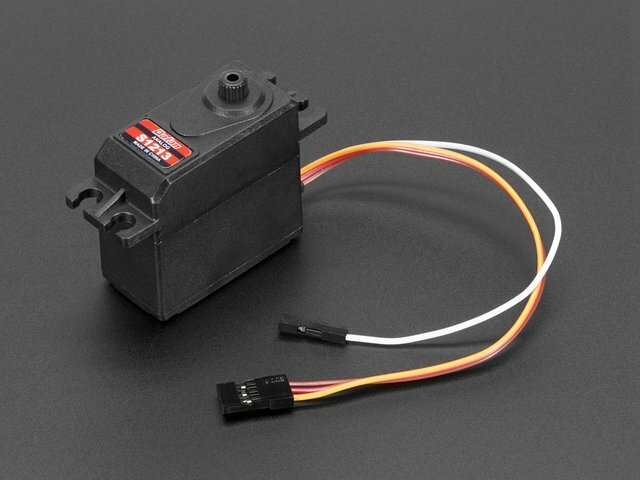 Continuous rotation servos can be found in countless small robot chassis, such as the BoeBot. Bearings - The shaft bearings on most CR servos are not designed for heavy loads. So these are best suited to smaller robot platforms. This guide was first published on May 21, 2014. It was last updated on May 21, 2014. 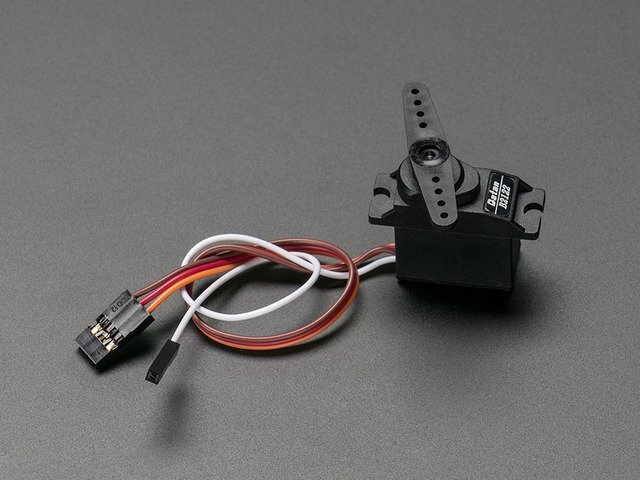 This page (Continuous Rotation Servos) was last updated on Apr 19, 2019.